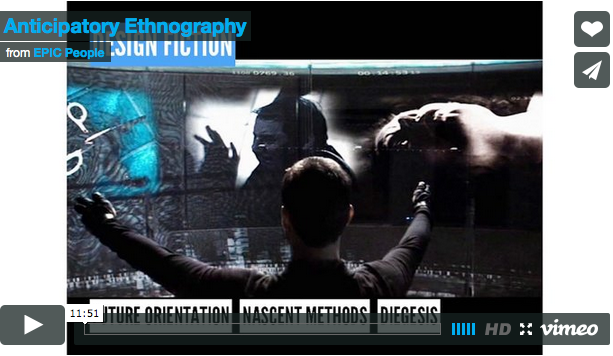 Here we consider design ethnography, and design fiction. We cast these two approaches, and the design endeavor itself, as forward-looking processes. Exploring the means by which design ethnography and design fiction derive their value reveals the potential for a mutually beneficial symbiosis. Our thesis argues that design ethnography can provide design fiction with the methods required to operationalize the practice in industry contexts. Meanwhile design fiction can provide design ethnographers a novel way of extending the temporal scope of the practice, thus deriving actionable insights that are applicable further into the future.